Iliou Melathron (Mansion) "Iliou Melathron" was the residence of Heinrich Schliemann, the German archaeologist and great friend of Greece. The building, built in 1879, is surrounded by a garden embracing its three sides. Its ground plan has an almost quadrangle outline of 23 x 25 meters and a twin monumental staircase on the northern side. 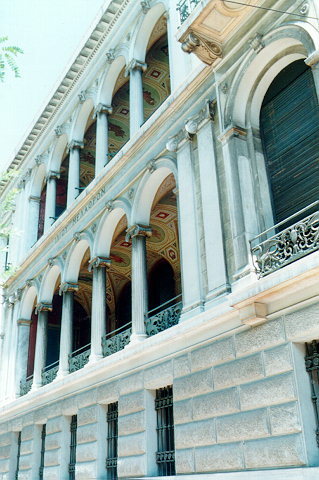 The facade is decorated from down to two-stories upwards by rows of Ionian style columns. The interior has been affluently garnished by "Pompeian" wall paintings and other decorative wall and ceiling illustrations. It is considered to be the best Renaissance-style work of Hernest Ziller. As it happens with many others of Ziller's works, the structure of the facets in a "base-body-crowning" design is also evident in Iliou Melathron, in accordance with the classicism's principle of "horizontalization." 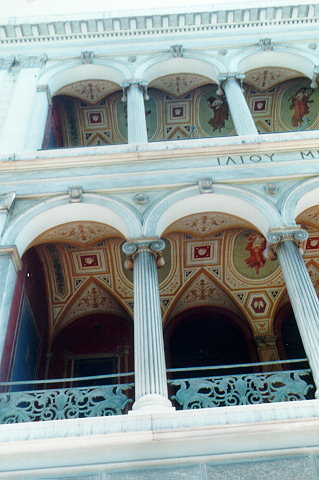 The building is a representative sample of the mature Greek Neoclassicism and was once the most luxurious private edifice of Athens -a huge amount of money was spent back then for its construction. 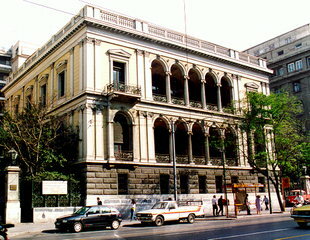 In 1927 it was purchased by the Greek State and housed the Supreme Court. Now, it houses the Numismatic Museum. The works conducted by the Ministry of Culture's Directorate of Museum Works Conduction for its full restoration are about to be completed soon. Works are also conducted for the conservation of the wall-paintings and other decorations as it happens for the reformation of the building to serve as a Museum.